Leger Uten Grenser (MSF Norway) is looking for an Association Intern for a 3-6 month period in the Fall and Spring semesters, to be based in the Oslo office. The applicant should be willing to dedicate 15-20 hours per week to the unpaid position, which includes possibilities for extension of the initial internship period. Applications are ongoing however the deadline for consideration as a Fall intern is June 15th to begin in September, and November 15th for a January start as a Fall intern. The intern’s purpose is to assist the Association Coordination Team in promoting the associative spirit within MSF and support an active associative life, providing institutional memory and organizing events, especially the annual Nordic Association Gathering and the General Assembly. 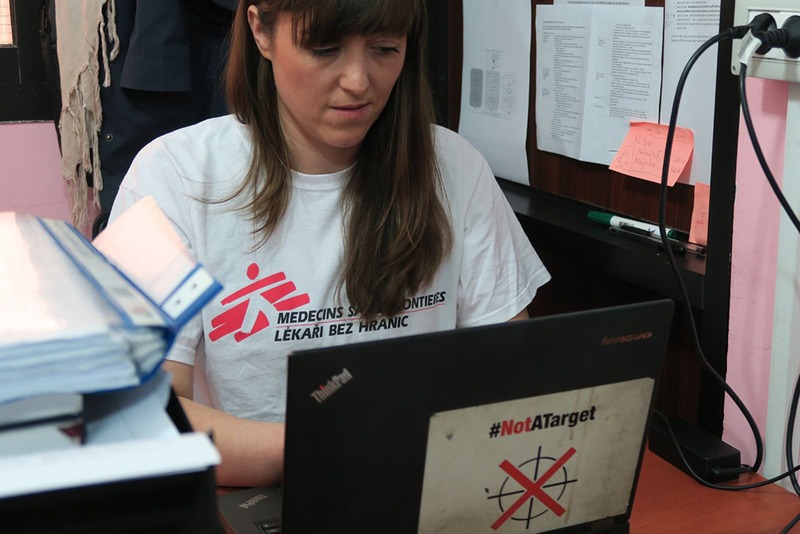 The Association of MSF Norway has approximately 230 active members and is comprised of current and former field workers, as well as office staff and office volunteers. The Association Coordination Team works in a supportive capacity to the Board of Directors and the Association. The initial part of the assignment will be to actively support the logistic and administrative aspects of the preparation and implementation of one or both of our two major annual events; the Nordic Association Gathering, and the annual Nordic General Assembly. These events are arranged in Norway, Sweden, or Denmark depending on the year. The Association Intern will be working closely with the Association Coordination Team to plan the association members’ attendance to these two-day events and should therefore be able to multi-task, take initiatives and demonstrate strong logistical and organizational skills. The Association Intern will also assist in managing the internal member website and membership database administration, updating information, running reports, updating newsletter and cross checking data. Proficiency in Excel with formulas is a needed qualification. This also includes managing and posting documents and information on the site, but also updating it and assisting in planning and editing web streaming of events. Video editing skills are a bonus, although not a requisite qualification. All communication with the Association is in English, and you must be fluent in both spoken and written English. The working languages in the office are both Norwegian and English, however Norwegian is not a requirement. Actively participate in planning meetings. Facilitate processes relating to travel and lodging for participants. Create and send out survey and analyze the survey post-event. Assist in managing and updating the internal member website and database. Assist in planning, editing, and posting of content from streamed Associative events. Contribute to build the monthly Association newsletter. Assist in briefs/debriefs with going and returning field workers from mission. Perform other tasks supporting the Association Coordinator as the need arises. Interest in and commitment to MSF’s humanitarian principles and associative structure. Demonstrates excellent writing skills in English, attention to details and proofreading ability. Above average computer literacy (excel, database). Strong organizational skills, multi-tasking ability and flexibility with changing priorities. Takes initiative and communicates well. Able to work independently and with limited supervision on multiple tasks and willing to be flexible with hours and days of work. Ideal candidate is studying (Bachelor or Master preferred) but able to commit for the full length of the internship. Persons with disability and with an interest in the humanitarian area are encouraged to apply. What is in it for the intern? Valuable experience from the world’s largest medical humanitarian organisation. Strong foundational insights and regular interaction with an international working community. Informal setting with extremely engaged professionals. Engagement with the consequences and relevance of global politics and humanitarian aid. Joining a dynamic and devoted Association and movement! Please send your CV and cover letter to kevin.kempe@oslo.msf.org with sylvie.leveau@oslo.msf.org in CC, stating "Association Intern" in the title. For questions, please email Kevin Kempe.